Example: When Keith Wenning is called, he won’t have to make the decision to bro hug, handshake, or full on bear hug the commissioner. The Ginger Hammer and how you give him his dap is serious business. Example 2: Jonathan Newsome won’t have to make the (in my opinion) most important decision of whether to go flat bill or curved bill on his draft cap. Admittedly, I’m #TeamCurvedBill but I’ve seen enough Louisville fans to know that the flat bill is a thing and only growing. Example 3: Willie Snead will not have to choose his walk up music. There’s been an unconfirmed rumor that Willie was to the point of drawing straws to determine whether it would be Meek Mill, Drake, or The Wiggles. So that leaves all of us in a precarious position of hope for the Cardinals for today. Rounds 4, 5, 6, and 7 all take place with 156 selections to go before this draft is in the books and the New York Jets fan can go home and put their booing to better use in their personal life. “Honey, would you like meatloaf for dinner?” “BOOOOOOOOOOOOOOOOOO!” God, what a bunch of assholes. But even they wouldn’t boo haikus. Because they’re awesome. 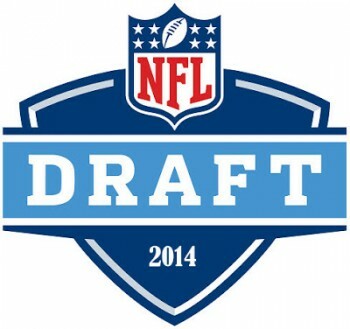 Draft action starts at noon today on ESPN and the NFL Network. I’d watch it if you have the chance. And let’s be honest, you do.